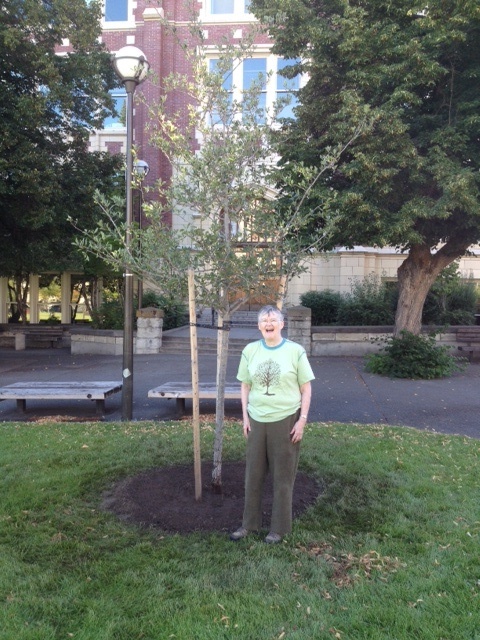 This week we planted a reunion tree at Lewis and Clark High School. This Thornless Cockspur Hawthorn is the second reunion tree in the Susie Forest. Last winter I received an email from a classmate of Susie’s who had learned of her death and the Susie Forest as she made phone calls about their 30th reunion. She contacted me and we had good talk about the times when she had sleepovers at our house. She wanted to suggest to the reunion committee that they plant a tree honoring the classmates they’ve lost. She came to the March 21st planting in Ruth Park and decided to push the idea. I worked it out that I could be at the planting (by the bike racks) because the day of the reunion I’ll be in Toronto planting a tree with the Tour des Trees. Three classmates came and talked high school and shoveled and ate cookies. In 2009 I planted the first reunion tree at Duke University during my 50th. I made this tree a gift from the class of 1959 to the class of 2059. In 50 (that’s 46 now) years that oak will be big and beautiful. I have another idea for a reunion tree. 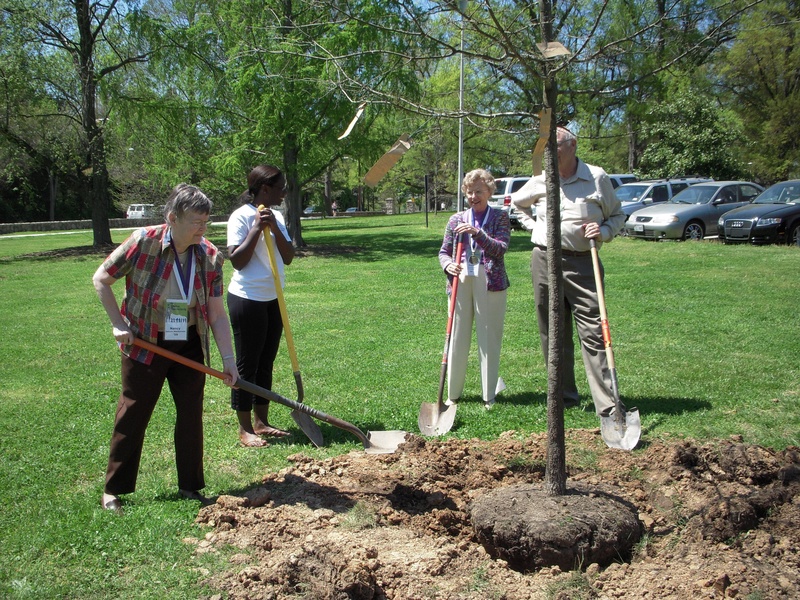 Plant a tree at graduation and then go back to every reunion at your alma mater, take pictures and watch it grow. Let me know if you decide to do this and the tree will become a part of the Susie Forest.